This production opened on December 1, 2006 and closed on December 10, 2006. Historical Characters, Carols and Games will begin 1/2 hour before each performance. Admission is $10 for Adults, $5 for Seniors and Students. Family Plan available (please call the SMCT Box Office at 397-4740). See below for more info about this special presentation! 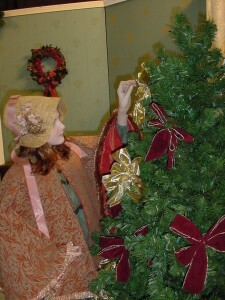 fosteringArts.org’s SMCT presents the play “Little Women” in the larger context of an 1860’s HOLIDAY PARTY that calls us back to the themes of the book. Set in Civil War Times in Concord, Massachusetts, “Little Women” shares a strong family unit, community celebrations, and a concern for those less fortunate than oneself. True to the nature of the book, the fabric of the play, and the spirit of the March Family, SMCT is inviting the community to Louisa May Alcott’s home to step back in time for an 1860’s Holiday Party! You are invited to dress up in Victorian Attire if you choose to fully play along, join in singing Christmas Carols, visit with historical characters from 1860 Concord including Louisa May Alcott, support a food drive to care for our neighbors (as Mrs. March always collected items for the Soldiers’ Aid Society and Hummel family), watch the unveiling of the play from Louisa’s book in Louisa’s living room, and take a chance to win a walk-on role in the actual play. The Holiday Party and Play will take place at the Paine School Auditorium (just south of the intersection of Routes 6 and 94) on Fridays, Saturdays (December 1, 2, 8, 9 at 7PM) and Sundays (December 3, 10 at 3PM). Historical Characters, Carols and Games will begin 1/2 hour before each performance. Admission is $10 for Adults, $5 for Seniors and Students. A Family Plan is available. You are also encouraged to bring non-perishable food items to be shared with those in need in our community. There will be a free raffle to win a small walk-on role during the second act. Refreshments will be sold. Coming dressed up will further elevate the fun! For more information or to make your reservation, CLICK HERE or call the SMCT Box Office at 397-4740. Please join us as we celebrate the holidays by bringing to life so much of what is good about being community! WHO DO YOU KNOW IN THE CAST? Actually three different casts have been chosen for this innovative play. 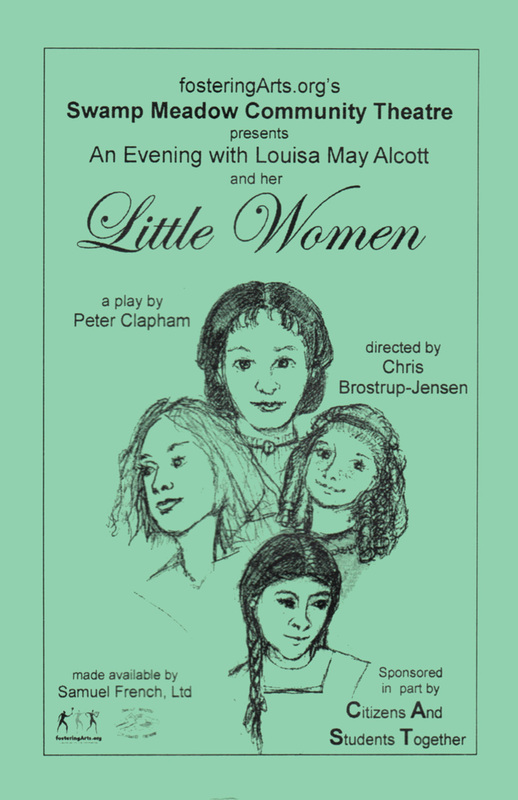 Little Women will be a traditional play, with the added features of historical characters interacting with the audience plus a Christmas Chorus. The director, Chris Brostrup-Jensen has his cast set. Marissa Albanese, Stacey Barden, Per Brostrup-Jensen, Sarah Bucknam, Heather Christie, Liam Dailey, Albert Fassbender III, Judy Kerkhoff, Chase Lurgio, Ed Morgan and Laurie Murphy will be playing the family, and friends. George Christie is directing a group of historical characters who will greet and interact with the audience. You can expect to meet a variety of folks, including a Civil War Veteran and even the author of Little Women, Louisa May Alcott. These characters will be played by, Alexandria Albanese, Julia Arnold, Sandy Arnold, George Christie, Artie Robillard, Kaila Rubin, Casey Jo Salzillo and Jake Wolf-Jensen. You may look forward to having some very interesting conversations. Rounding out the cast and enhancing the festivities is the Christmas Chorus directed by Ann Valentine. Amanda Betchy, Tammy Casey, Ray Cooke, Emily Chretien, Michelle Chretien, Cameron Marcotte, Samantha Pike, Judy Prolucci, Lona Robillard, and Elizabeth Russo, Haley Talbot will be entertaining the audience with Christmas Carols from the Victorian Era.